For 15 years Marina Zumi has been known as “Zumi” in the Street Art Movement. The Argentinian artist, based in Berlin, is constantly traveling. She is known for her graceful murals which provide oases of serenity in the crowded and noisy cities she visits. Her production inside the studio, “Away From Sprays“, takes her work in another direction. In the atelier, in touch with more meditative moments, she approaches her work to synthetically extrude the art subject. “The void is not an uncomfortable place,” she says. Her goal is to communicate that we are just energy in the universe. 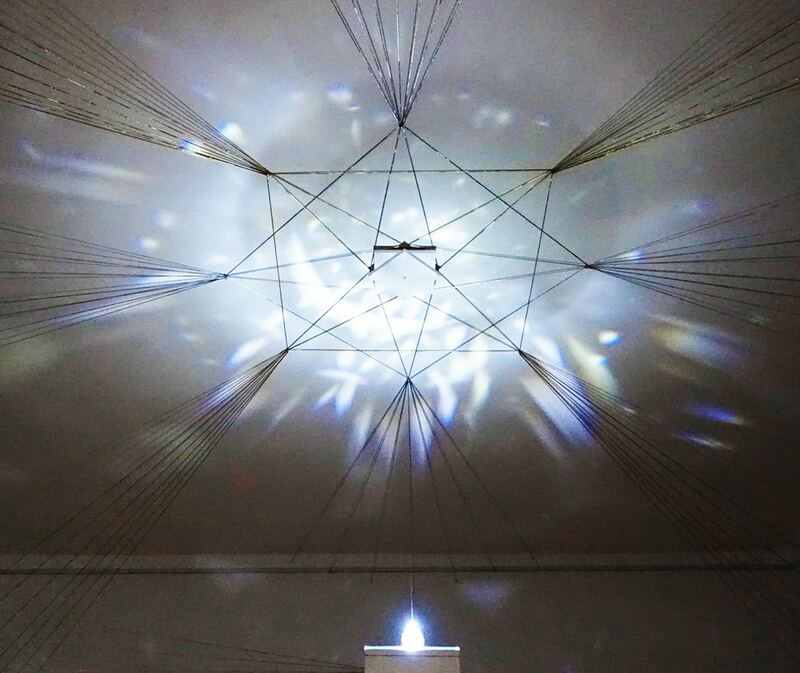 Zumi creates and performs a specific study of art that is based in her study of quantum theory and uniquely integrates her research of the Cosmos, her knowledge of Buddhist philosophy, and representations of nature. These unique artworks are sewn with gold, silver, and black threads, distinctively integrating hand embroidery textile art and contemporary art. 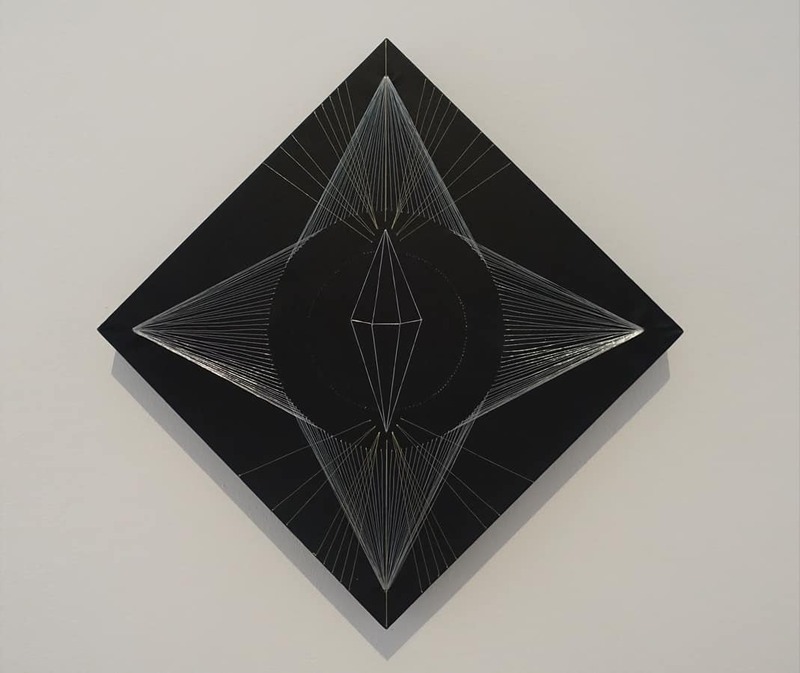 By sewing her artworks, she unwraps the flux of energy, symbolizing connections between all beings – represented by a re-occurring motive of „seven lines“: one central intention, and the parallel resonances, three positive and three negative. These fluxes of energy also create a new environment. When Zumi develops her site specific installations it is an invitation to feel the Flux, as part of a profound inner journey, that takes us beyond our physical limits. For this occasion the installation reflects the search for inner light, by those who are journeying through the vast universe. 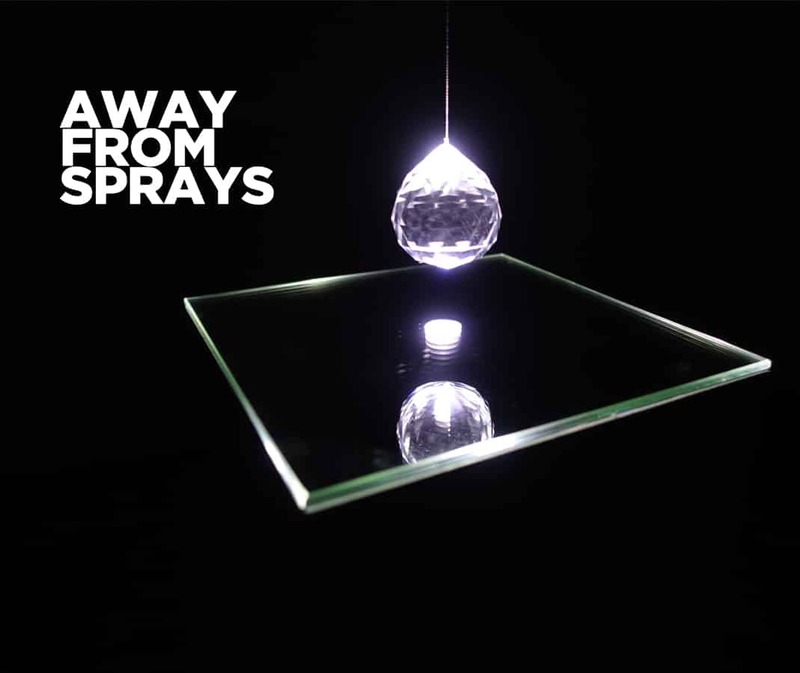 “Away from Sprays” shows Marinas ability of transformation the without compromising the credibility of her work. Zumi is fascinated by “energy,” almost unaware that the most dazzling source of energy sits within her, in her restlessness, her curiosity, and the never-ending travels and experiments.